The deer population on Catalina Island is currently in excess of around 2,300; announcing open hunting season, relocating deer among possible solutions. AVALON — On a recent trip to Catalina Island, it was common for guides to point out the beautiful deer, especially their fawns, while trekking through Descanso Beach and Avalon. However, it seems the sight of so many deer on the island may not be such a marvelous thing after all as the island’s deer population has recently seen a boom that could put the deer, and other natural animals and elements on the island, in danger. 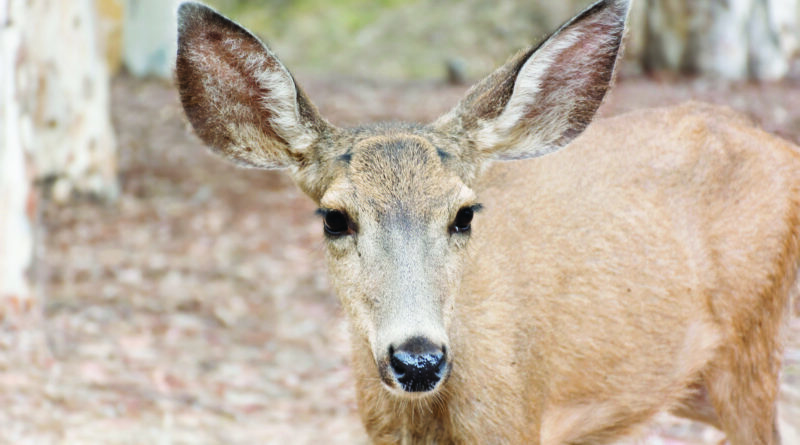 Tony Budrovich, president and CEO of Catalina Island Conservancy, made an appearance at the City Council meeting in Avalon held on June 19 to clarify some questions related to the deer overpopulation dilemma. During the meeting, Budrovich shared that while the island could provide for about 500 deer, the island’s deer population is currently in excess by around 2,300 deer. The Conservancy CEO added while some deer may eat sprouts, most come into town to feast on garbage and other waste. It has been determined from studies that deer living in the city are not as healthy as those who live in a more natural setting, Budrovich added. Budrovich continued that the deer problem has been steadily growing and he was searching for the most reasonable answer, citing an open season to hunt deer on the island, administration of contraceptives or relocating deer to other parts of the island as possible solutions. Council members brought up the idea of seeking out funding for the problem, but Budrovich stated it would be difficult to secure this kind of funding because deer overpopulation is an issue affecting many mountain towns across the United States. Budrovich also mentioned he had been meeting with the California Fish and Game Commission in Sacramento to discuss solutions, but it may be possible the city or Catalina Island Conservancy will have to take on the responsibility of “the people’s deer,” as Mayor Anni Marshall referred to them. The dangers of introducing a non-native species to a foreign area have been well documented throughout history and while Avalon’s city staff has been looking to find solutions to decrease the deer population, a cost-effective and acceptable result has not been reached yet. Hunting would be a good way to thin them down. Just do it during the week to minimise tourist interaction. Possibly in the off season. Too bad people don’t realize that Catalina is not a forest and cannot support current numbers per square mile. All legal hunts require guides in order to manage the deer population explosion through normal CA hunting regulations. Maybe if you guys would allow hunters to hunt the deer without paying outrageous prices there would be a lot less deer to cause problems. Or at least lower the price! Thousands of dollars for 1 deer. Get outta here.